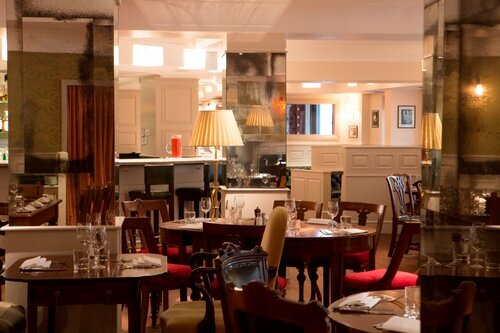 If you are looking for the place to have a great dinner, fine wine and enjoy a relaxed atmosphere, pop in to Shepherd’s Bar & Bistro, which is perfectly located in Westminster, minutes from Parliament. 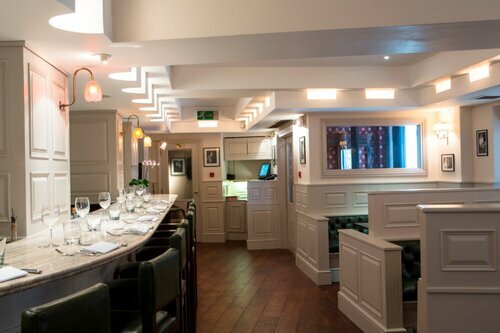 After the refurbishment, the place known as Shepherd’s restaurant and has been reborn as the Shepherd’s Bar & Bistro reflecting the best dinning traditions of the Langan’s Restaurant Group empire. Situated in Marsham Street, the new look restaurant, designed by Russell Sage Studio is spread across a civilized and conversation-enhancing area of 5,000 sq. ft. Yet it is open Monday – Friday from 11am until midnight, but soon will be opening 7 days a week. The menu is overseen by the new executive group head chef Liam Smith-Laing, who was previously at La Petite Maison and Petrus and offers a selection of all day dining options. Starters include Celeriac Soup (£5.00), Devilled Whitebait (£6.00), Omelette “Arnold Bennett” (£8.50), and Potted Shrimps (£7.50). Main’s include Deep fried Cod and Chips (£12.50), Salmon & Haddock fish-cake, Parsley sauce (£9.50), Dover Sole: Grilled or MeuniÃ¨re (£28.00) and Braised Ox check with carrots (£11.50) amongst others. Desserts include Treacle tart (£5.00), Pot au Chocolat (£4.00) and Financier au Prune (£5.00). The new Private Dining Room has also been refurbished and can host up to 32 seated for a meal. It is decorated in Gainsborough silk, and the room is surrounded by natural daylight through three windows looking out onto a courtyard.